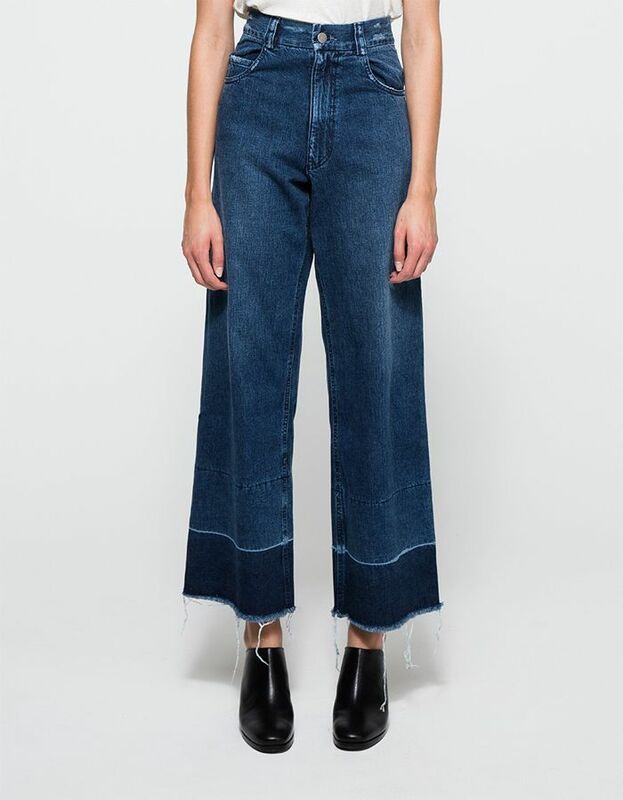 The high-waisted rise with a cropped, dyed, and frayed hemline—the statement denim style is hard to miss, but we bet you didn’t know this fun fact about the on-trend jeans. Rachel Comey, the mastermind behind one of denim’s biggest street style trends this past year, recently shared design insight on the origin of her iconic Legion jeans. “[When] I grew up in the seventies, it was kind of a common thing in my neighbourhood,” Comey recently told Vogue. “Your mum would buy you school jeans and hem them six inches because you were too small, and then you would grow, and then eventually you would let the hem out.” Talk about an organic and honest way to create a hit design! Several brands have emulated the covetable cut created by Comey as it has become a denim must-have this year. Scroll down to shop the statement style plus more of our of-the-moment denim obsessions! Which style are you obsessed with? We want to know in the comments below!